Fletcher described leaving Nehalem Bay and sailing to islands “not far” in which they took enough seals and birds to supply themselves on their voyage. 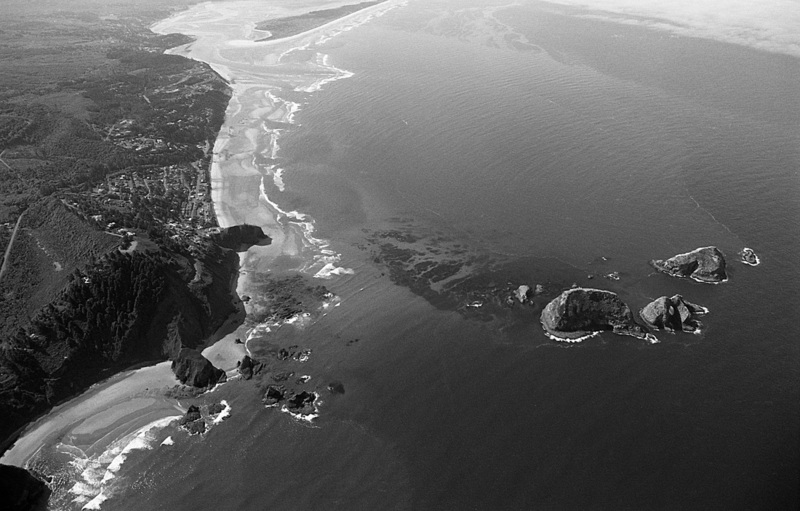 These islands can be easily seen from Neahkahnie Mountain on clear days and are known today as the Three Arch Rocks, a National Marine Game Reserve. As Fletcher stated in the World Encompassed, these nearby islands evidence that Drake stopped there to take on food supplies before sailing to the Moluccas from the Pacific Northwest Coast on July 25, 1579. These islands can be easily seen on a clear day from Neahkahnie Mountain and beach. They are 11 minutes of a degree (approximately 16 miles) south of Nehalem Bay off the Cape Meares headland.